The Excallibur EZDRY is a compact dehydrator designed especially to make healthy pet treats for your dog or cat. 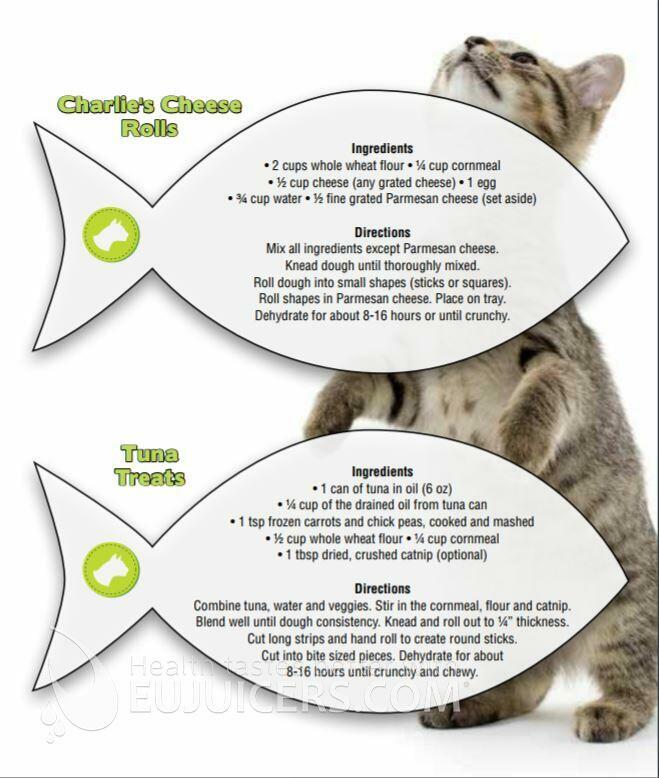 Instead of feeding your pet food full of chemicals and questionable ingredients, treat them with delicious healthy food from your own kitchen. 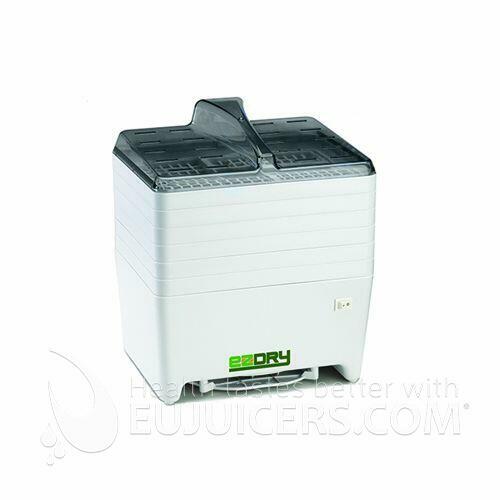 It's super easy with the Excalibur EZDRY compact dehydrator. The Excalibur EZDRY dehydrator is deigned to make not only pet treats, but dried fruit and vegetables, fruit leather, dried herbs, nuts, even yogurt and cheese. You can even recrisp crackers and cookies that have become soft. 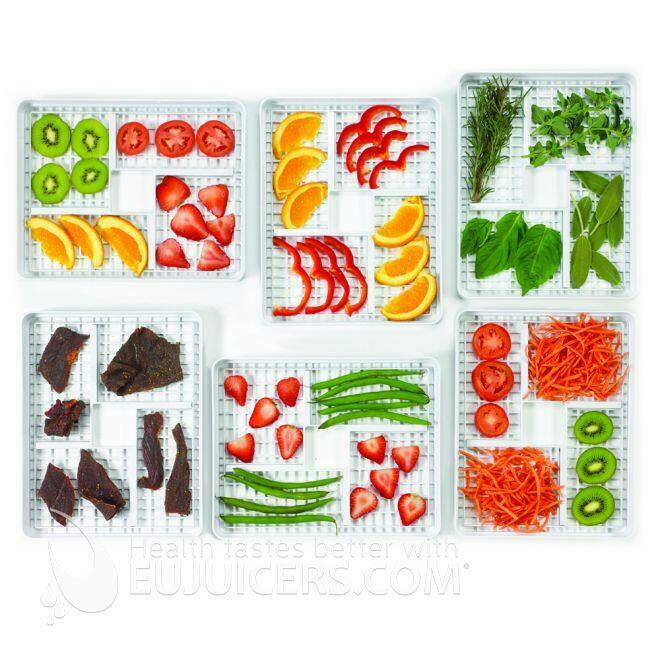 The EZDRY is the perfect snack-sized dehydrator. Compact and simple to use, the 6 trays stack neatly and have plenty of room. Airflow is directed from the center outward to ensure uniform drying. The traditional Excalibur cube shape means there is more space for drying compared to circular dehydrators. 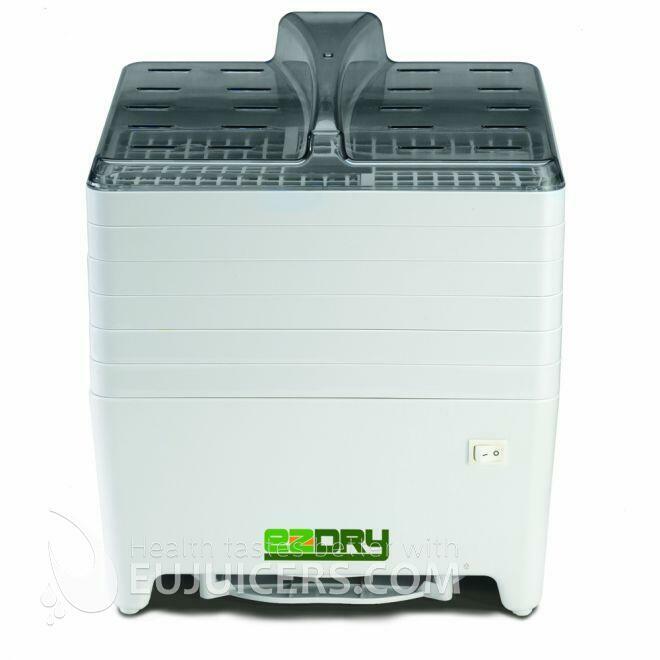 The Excalibur EZDRY is the smaller of their two value-line stackable dehydrators. It is small and simple, with just an on/off switch. We made a few batches of dog treats from flour, egg, cheese, water, and cornmeal, and they were a big hit with our "judges" - two dogs and one cat. We also tried drying some apples and herbs, and had the best results when we periodically rotated the trays. Since the trays are quite small compared to the traditional Excalibur "box" models, drying was mostly uniform. The biggest advantage to the EZDRY is its low price and compact footprint. While it doesn't match the performance of Excalibur's shelf-style dehydrators, it is fine for making pet treats or small batches of produce or herbs.